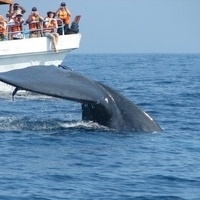 Join us on a 3.5 to 4 hour boat ride for whale watching out of Plymouth, MA. Bring a snack for the boat ride along with your camera. Bus leaves URI at 11:30am from the bus circle at the Memorial Union. All tickets must be purchased in advance from the MU Box Office. URI students only.